Van Staden’s favorite childhood memories involved “diving in wet suits for Abalone,” scooping up Sardines, and catching Mullet to make the salted fish delicacy, Bokkoms. By the time he was seventeen, he was already working at the South African Restaurant, Gerard Moerdyk. After graduating high school, Michael moved to Washington DC and attended culinary school in Maryland. During his first culinary job at Marcel’s, Michael still spent all his spare time in the kitchen assisting other chefs at their restaurants. Van Staden rolled the dice and moved to Las Vegas, where he landed an opportunity at the Eiffel Tower restaurant. After working at restaurants Mistral and Alize, Van Staden moved on to a new venture with Chef Kerry Simon and opened the Cathouse Restaurant & lounge as Executive Chef. Later, he spent a couple years traveling the world, launching new restaurant concepts on board Celebrity cruises as a Traveling Executive Chef. Returning to Las Vegas in 2012, he assisted in the launching of the Bacchanal Buffet, eventually becoming Executive Chef. The Bacchanal Buffet was voted best Buffet in the United States by USA Today and Bon Appétit Magazine two consecutive years. 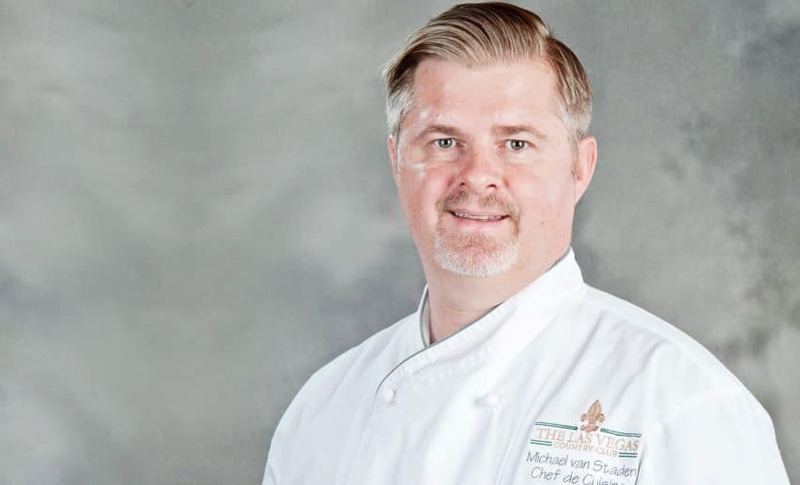 Michael is currently the Executive Chef of the Las Vegas Country Club; he’s “been using Santa Monica Seafood for a decade and loves every one [here]”.